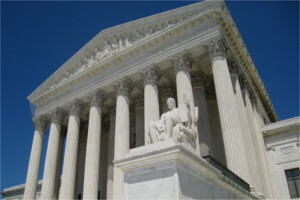 Supreme Court nominee Brett M. Kavanaugh generally takes a narrow approach to employment-related lawsuits, tends to refer to the plain text of statutes, and resists the urge to “legislate from the bench,” according to an assessment by the law firm Jackson Lewis, NJBIA’s HR Legal Hotline provider. President Donald Trump’s choice to replace retiring Justice Anthony Kennedy has been a federal judge on the U.S. Court of Appeals since 2006 and has an extensive record, which 16 attorneys analyzed for insights into his thinking on employment law, corporate governance and other issues important to the business community. Kavanaugh graduated from Yale Law School in 1990 and immediately began clerkships U.S. Court of Appeals judges, as well as Justice Kennedy, whom he has been nominated to replace. He spent time in private law practice, as a partner at Kirkland & Ellis in Washington, D.C. He was first Associate Counsel, and then Senior Associate Counsel to the President in the George W. Bush White House, and was Assistant to the President and Staff Secretary to the President.